Just a couple of days ago, there was a report that the University of Virginia would not renew Dom Starsia’s contract when it expired in January. In a complete 180, Starsia, the team’s coach for the past 24 seasons, has been offered a new contract, with Ty Xanders reporting that it is a three-year deal. No word on whether or not Starsia has accepted the offer. On Tuesday, an email was reportedly circulating through the Virginia Lacrosse Alumni Network that stated that Starsia’s contract would not be renewed. Between that email, which two UVA lacrosse alums said that they knew nothing about, and Thursday afternoon, more than 200 alumni contacted the university about the possible move, and those messages gained the attention of UVA’s office of the president. Well so much for potential candidates for the UVA job and what Starsia would do after Virginia. He’s a mainstay at the university, and will continue to be so for at least the next three seasons. But does that mean he’ll be safe forever or that any other long time coach like John Desko at Syracuse or Kevin Corrigan at Notre Dame are also safe forever? Absolutely not. Might we see a change in the staff? Possibly, but don’t bet on it. Marc Van Arsdale is one of the nation’s top assistants, while Joe Starsia, Dom’s son, is also an assistant. Van Arsdale finished his 15th season with the Wahoos, while the younger Starsia finished his 3rd season. Virginia is still attracting the best of the best, and have another #1 senior coming in next season in Dox Aiken of The Haverford School, followed by Matt Moore of Garnet Valley the following year. But Virginia needs to get wins, and not just non-conference wins, but ACC wins. Their last regular season ACC win came against Syracuse back in 2014, and have gone the past two seasons winless in conference play. It’s good that the team can beat Johns Hopkins and Loyola and Cornell like they did back in 2015, but if you really want to compete, then you’ll have to do it in ACC play as well, and also win an NCAA Tournament game. Their last win came in the first round back in 2012, and this year’s senior class never won an NCAA Tournament game, missing the big dance twice in the last four seasons. Somehow, Dom Starsia and his current cast will have to bring back the magic that was there in 2006 and 2011, led by Tewaaraton winners Matt Ward and Steele Stanwick. 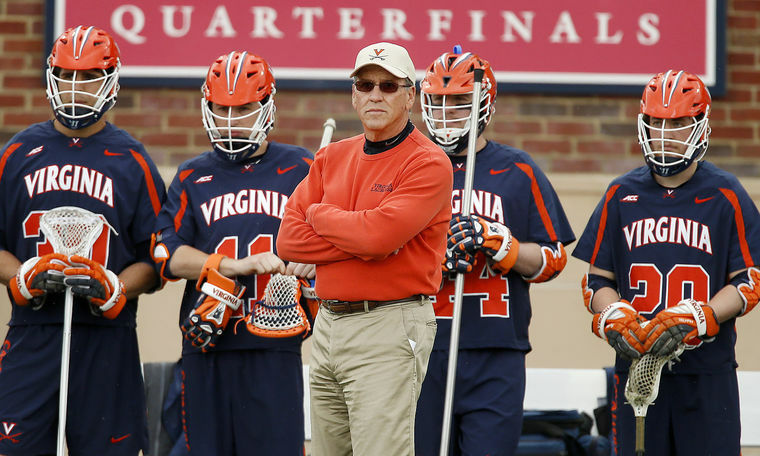 ← What Impact Might Dom Starsia’s Departure Bring To College Lacrosse?